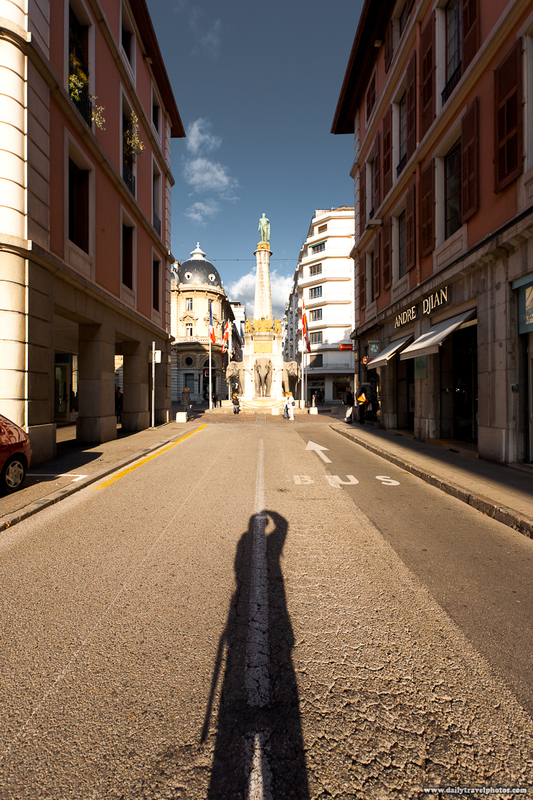 The central elephant fountain in downtown Chambery, a regional hub in the Alps of France. Yup, you guessed it. As part of my volleying back and forth between continents, I find myself in the Alps region of France again. For better or for worse, I'm planning to spend the early portion of winter (until late December) in my home away from home, Annecy, for a little winter wonderland magic... or so I hope. It's been over a decade since I suffered a real winter and real Christmas so I'm as curious as you are if my old rickety bones are able to handle the chill of sub-freezing temperatures and faux-family fun of the holidays. In the meantime, I take solace in the fact that I rarely have to face the bitter outdoors environs if I don't want. I anticipate myself remaining in a cocoon of blankets for a large part of each day, mostly in proportion to each degree the mercury drops! Looking svelte guy! Better get a few dozen baguettes in you if you want to survive a real winter. My winter survival depends exclusively on staying indoors 24 hours of each day. My frail bones weren't meant for snow and sub-zero temperatures.